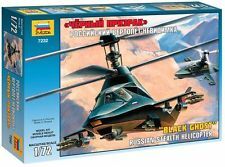 YellowAirplane.com: Russian Mil Helicopters, Model Helicopters, Plastic Model Kits, Mi-24 Hind, Mi-8, and Heavy lift Helicopters. 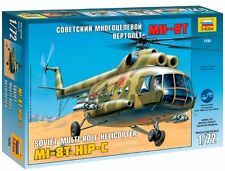 Russian Military Mil Helicopters, Model Helicopters, Plastic Model Kits, Mi-24 Hind, Mi-8, and Heavy lift Helicopters. I took this picture while I was on the North Pole in 2002. On the side of the Mil Mi-8 Helicopter, written in Russian, it says Khantaga. Click on the image for a larger view. C. Jeff Dyrek, Webmaster. Look at the Russian Helicopters on the 2002 North Pole Exhibit. Русский военный Миля вертолеты, модели вертолетов, пластмассовые модели, Ми-24, Ми-8, а также тяжелых вертолетов лифта. Militares rusas Mil helicpteros, helicpteros modelo, Modelo Plsticos, Mi-24 Hind, Mi-8 y helicpteros pesados ​​de elevacin. Russian Helicopter Model Aircraft Department. Russian Mil Military Helicopters, Plastic Helicopter Model Kits, Diecast Models, Books, Videos and more. 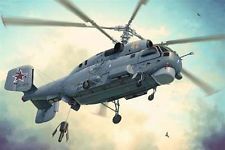 The Russian Mi-8 Helicopter has seen service in virtually every country and is still in production with new versions - facts that testify to the Mi-8's potential. From first prototype in 1957 through the Mi-26 helicopter variant, which remains the world's largest production helicopter, this is the full history of the Soviet Union's Mil OKB heavy transport helicopter series. It's a story that includes breakthroughs such as the first helicopter powered by two gas turbine engines, an auxiliary wing designed to offload the main rotor during cruise flight, and more. Another Mil Helicopter, the Mil Hind troop-carrying helicopter gunship was the Soviets' answer to the lessons learned by the U.S. in Vietnam. Bigger and faster than the Cobra, the West has nothing like it. Includes the Mi-24 Hind Gunship and the Mi-26 Russian Helicopters. 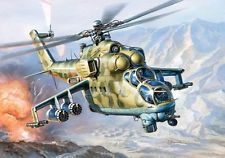 The Mi-24 Hind is one of the most potent weapon systems in the world today, as has been amply demonstrated during the conflicts in Afghanistan and the Gulf War. Unique amongst helicopters, the Hind is a troop-carrying gunship - something like a flying battleship. This plastic kit features detailed engine intakes and exhausts, multi-part 5-blade main rotor, realistic cockpit and troop carrying/cargo bay area, and full weapons assortment. Includes 90 pieces and is 9 " long when assembled. a twin-turbine Mi-24 Hind helicopter flown by the Russian Air Force out of Kalinovskaya Airfield in 2000, this 1/72 scale, plastic model features tandem "double bubble" cockpits with glazed windows, a working rotorhead, a pivoting Yakushev-Borzov Yak-B chin gun and stub wings with external stores (9K114 Shturm AT missile tubes and B-8V20 S-8 rocket launcher pods), and an authentic camouflage scheme. 9" long with a 9" rotorspan. Bell 47 Sioux, AH-1 Cobra, OH-58 Kiowa, and UH-1 Iroquois "Huey." Gordon. While large new aircraft programs such as those of the Cold War era are likely to remain a thing of the past, military aviation in Russia is not standing still. This volume looks at programs such as the new Mi-8MTKO and Mi-24PN night-capable helicopters from Mil; the latest Su-24M2, Su-25SM and Su-27SM upgrades from Sukhoi; the extension of Tu-95MS and Tu-160 bombers' capabilities; and more. 128 pages, 265 color photographs, line drawings, 8"x 11", softcover. Witness the powerful air capability of the Soviet Air Force in full-color action! You'll view the MiG-29 and Su-27; soar with the MiG-25 Foxbat, MiG-27 Flogger D and the Tu-95 Bear; and go to sea with the Soviet fleet to witness the vertical takeoff of the Yak-36 Forger as it deploys from a Kiev-class carrier. You'll even fly with the latest attack helicopters in spectacular all-arms exercises and Mi-24 Hind and Mi-26 Halo helicopters in combat in Nicaragua and Afghanistan. Color, 1 hour. Mladenov. The first Soviet helicopter to function as both a gunship and an assault transport, the Mi-24 Hind - with its distinctive double-cockpit design - is arguably the most recognizable war machine of the Cold War. This heavily illustrated volume, which examines the design, development and deployment of the Hind, also includes color profiles of the distinctive paint schemes employed by various nations. 48 pages, color and B&W photographs and illustrations, 7"x 9", softcover. The Soviet strategic and tactical air forces and their Warsaw Pact allies formed the largest air arsenal ever deployed. Now, through recently released Soviet films and footage taken by Western forces during intercepts, this program examines Soviet air power in the 1980s with views of the MiG-27 Flogger D and MiG-29 Fulcrum fighters, the giant AN-124 Condor transport, the Mil Mi-24 Hind attack helicopter, weapon firings, air-to-ground attacks, high level intercepts, ground missile defenses, and more. Color, 1 hour. Rotar-Wing Work Horse and War Horse. Gordon & Komissarov. The Mi-8 has seen service in virtually every country and is still in production with new versions - facts that testify to the Mi-8's potential. This book lists all known variants as well as the type's most important operators. Many of the variants are illustrated in the book's numerous photos, most of which have not been seen before in print outside of Russia. 128 pgs., 220 B&W photos, 8 pgs. of line drawings, 8"x 11", sfbd. From the Webmaster: I have a lot of time flying in the Mil Mi-8 Helicopters which we flew from the North Pole Base Camp, Camp Barneo to the actual North Pole. 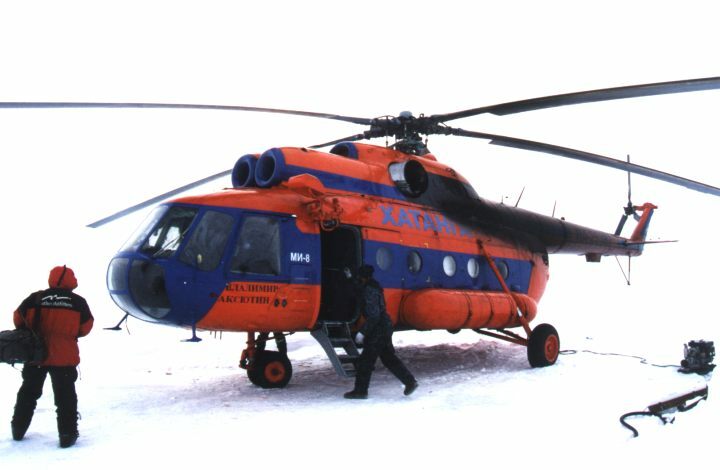 We used the Mi-8 on all of our North Pole Expeditions both through Siberia and also through Svalbard, Norway. I once talked to a Puma Helicopter pilot and he told me that he saw a Mil Mi-8 trying to take off with an incredible overload. He said that he could see the props lift way up but the helicopter would not take off. The Russians kept unloading the equipment until the helicopter was able to fly. He then told me that if he tried to do this in his Puma Helicopter that it would break the transmission. He finally remarked that the Russians have overbuilt the Mi-8 transmission so that it was impossible to break and that he also had a tremendous respect for this helicopters design. C. Jeff Dyrek. Look at the Russian planes of the 2002 North Pole Exhibit. Red Star Vol. 22Mi-6/Mi-10/V-12/Mi-26. Gordon & Komissarov. From first prototype in 1957 through the Mi-26 variant, which remains the world's largest production helicopter, this is the full history of the Soviet Union's Mil OKB heavy transport series. It's a story that includes breakthroughs such as the first helicopter powered by two gas turbine engines, an auxiliary wing designed to offload the main rotor during cruise flight, and more. 128 pages, 200 B&W and color photographs, 8"x 11", softcover. Senkowski & Piotrowski. This troop-carrying gunship was the Soviets' answer to the lessons learned by the U.S. in Vietnam. Bigger and faster than the Cobra, the West has nothing like it. Shown here in superb detail with modern color photographs from the Polish Army's 3rd Squadron, you get close-up views of the exterior, cockpit, cargo area, weapons systems and more. 36 pgs., 75 color photos, 9"x 8", sfbd.